Green smoothies are seriously my jam and this easy Spinach Smoothie recipe is a definite keeper. 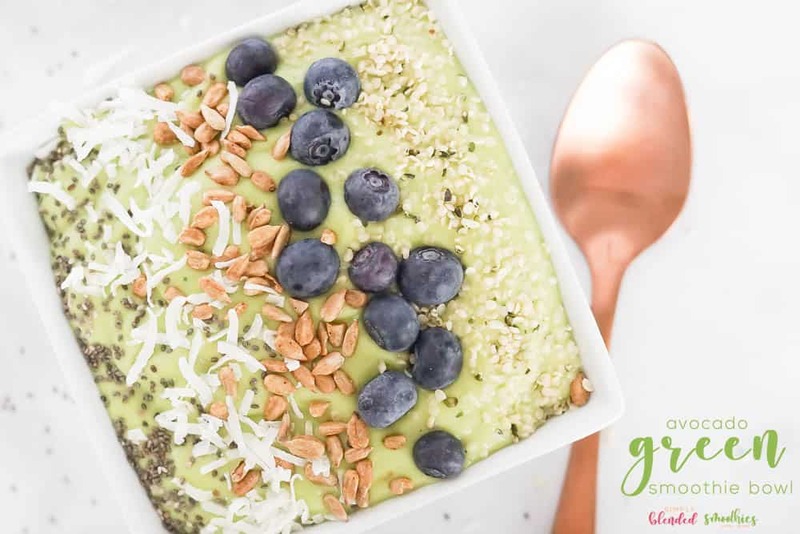 My Simple and Delicious Green Smoothie Recipe is another amazing green smoothie recipe that is different than this one, but also super yummy. 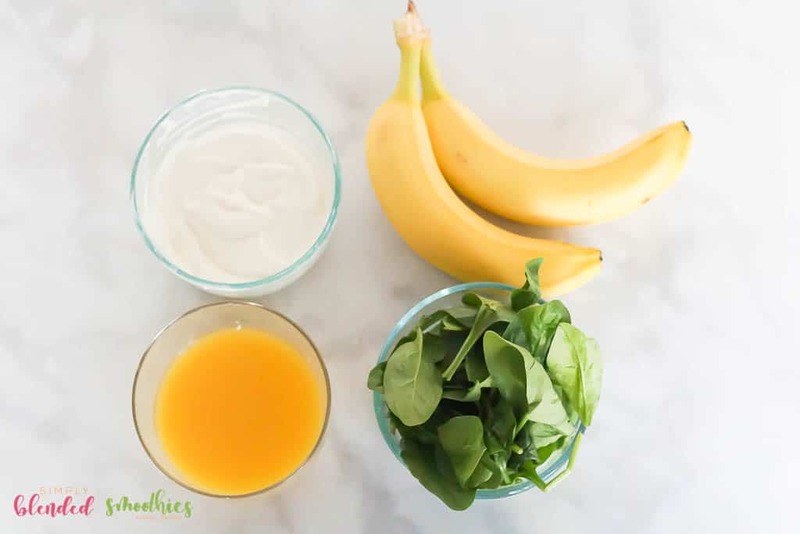 This spinach smoothie recipe is easy to make, only requires 5 ingredients and is crazy healthy for you! And the best part is, you can’t even taste the spinach in it! It just tastes like a yummy tropical smoothie even though it happens to be packed full of amazing green vegetables. 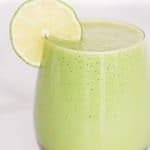 If you have tried a green smoothie before and didn’t like it, you need to try this one because it doesn’t taste “green.” And if you have never had a green smoothie, this is a great beginner green smoothie because it has a mild, fruity taste to it. So keep reading for my recipe for this Spinach Smoothie. How do you make a spinach smoothie? 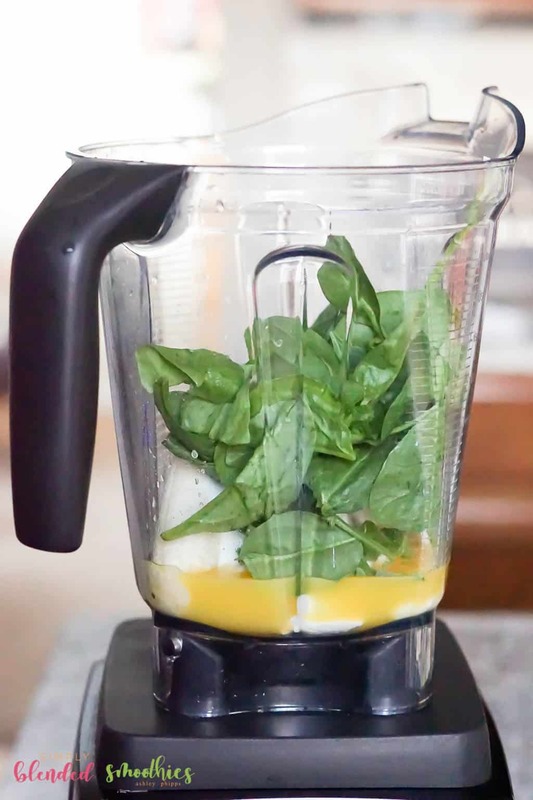 Making a spinach smoothie is super easy to do. You will need about a cup (or a handful) of spinach. 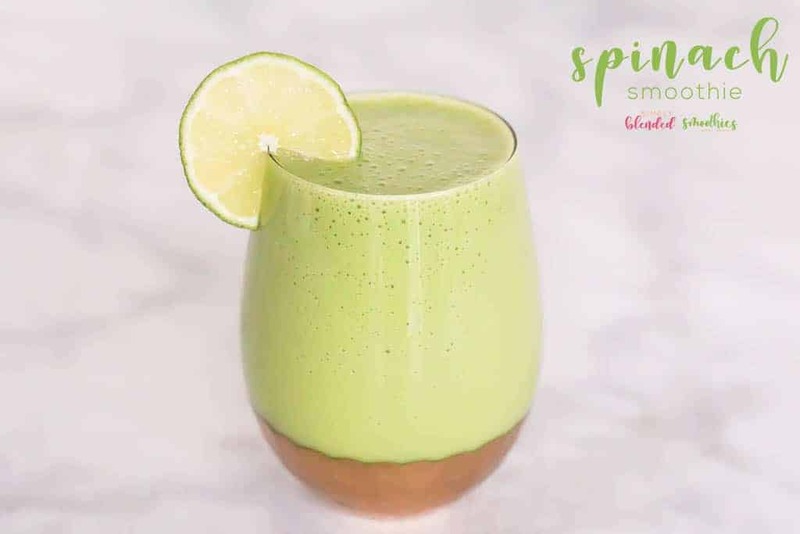 This will give your smoothie all the health benefits of those leafy greens and a beautiful green color, but it will not taste like spinach at all. The trick to making a spinach smoothie that doesn’t taste like a spinach smoothie is the addition of flavorful fruits. 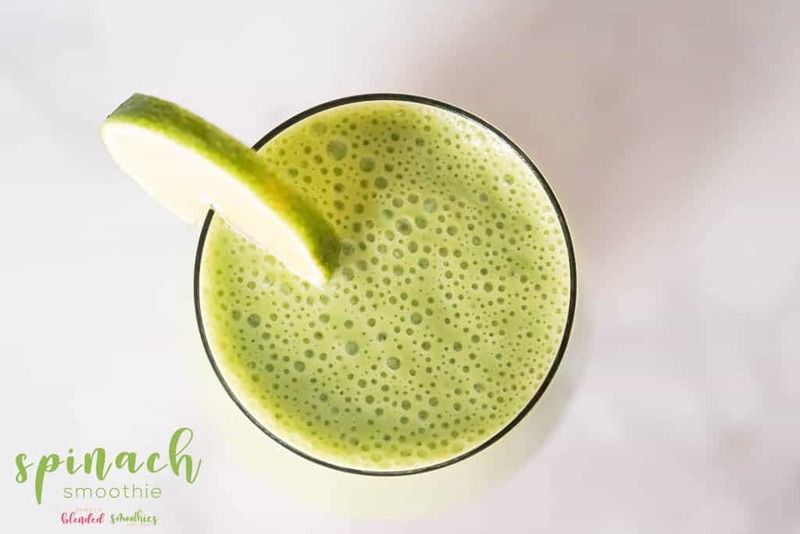 In this recipe, I use both fruit, fruit juice, yogurt and spinach so you end up with a light tropical fruit flavored smoothie. What greens are good for smoothies? Spinach and kale are the most popular greens for a smoothie and there is a good reason why. Both spinach and kale are insanely good for your body, but they are also mild enough that fruit can overpower the spinach or kale which means you will get the green smoothie benefits without the green taste. Spinach and kale are also really easy to come by at any local grocer. Personally, I prefer spinach to kale because the flavor is a bit more mild and easier to hide, but both are great options! What are the benefits of drinking green smoothies? 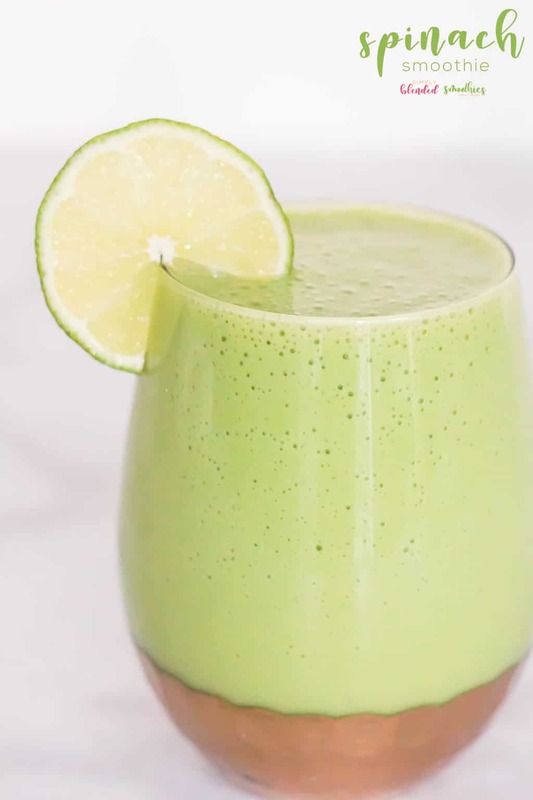 Green smoothies are powerhouses for nutritional benefits, they can help you get your fruits and veggies in for the day which can help lead to natural weight loss and a healthier metabolism. Did you know that the American Cancer Society recommends you have a minimum of 5 servings of fruits and veggies every day! This helps to prevent cancer and other diseases. Drinking a green smoothie is an easy and yummy way to increase your fruits and veggie servings. Green smoothies are full of vitamins, minerals and antioxidants and other nutrients which leads to a healthier you in so many ways. Because you are using the whole fruit/vegetable, unlike juicing, you get the benefits of the entire fruit/vegetable including the fiber and the full nutritional value which can lead towards better bodily absorption of nutrients which can lead to more energy. Green smoothies taste better and are easier to consume then salads for most people. All these good fruits and vegetables help to support your immune system. What does spinach do for your body? Spinach is full of vitamins and antioxidants and contains an amazing amount of Vitamin A, B2, C and K along with magnesium, calcium, folate, iron and more. Spinach can boost eye health and muscle health while supporting your body’s natural ability to fight disease like cancer and more. There are many blenders you can use for making smoothies, but I personally own the Vitamix 780 and think it is simply the best. 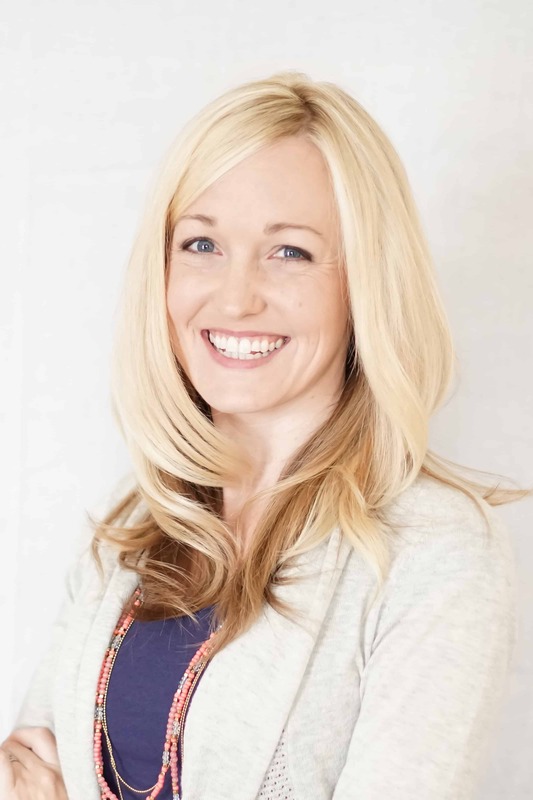 I get smooth, consistent results every single time which is exactly what I want for all my smoothies! You can buy your own Vitamix 780 HERE. So are you ready for my Spinach Smoothie? Let’s go! Place the spinach, bananas, orange mango juice, yogurt and lime juice into a container. Add about 1 cup of ice. Use less ice if you are using frozen bananas, or more if you want a thicker colder smoothie. 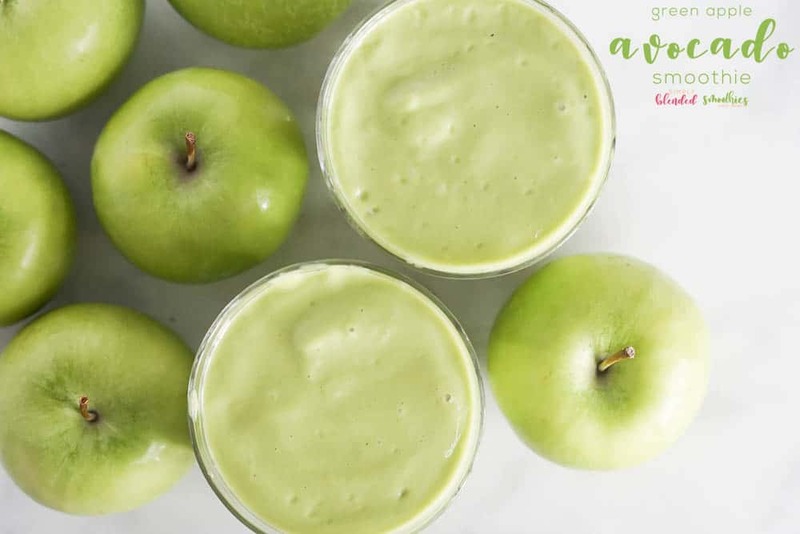 This recipe is so good that your kids will beg for more and no one will even notice all the green goodness you put into this smoothie! 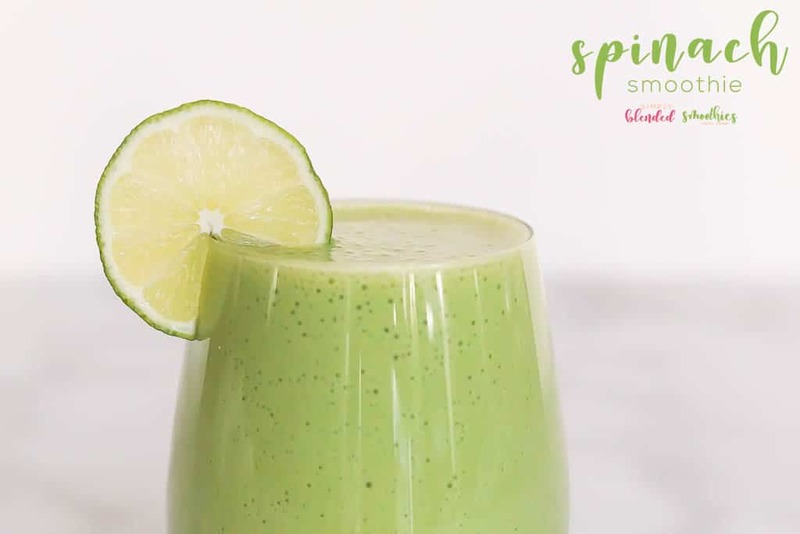 Green smoothies are so incredibly healthy and this easy Spinach Smoothie recipe is super easy to make and doesn't taste "green" at all! 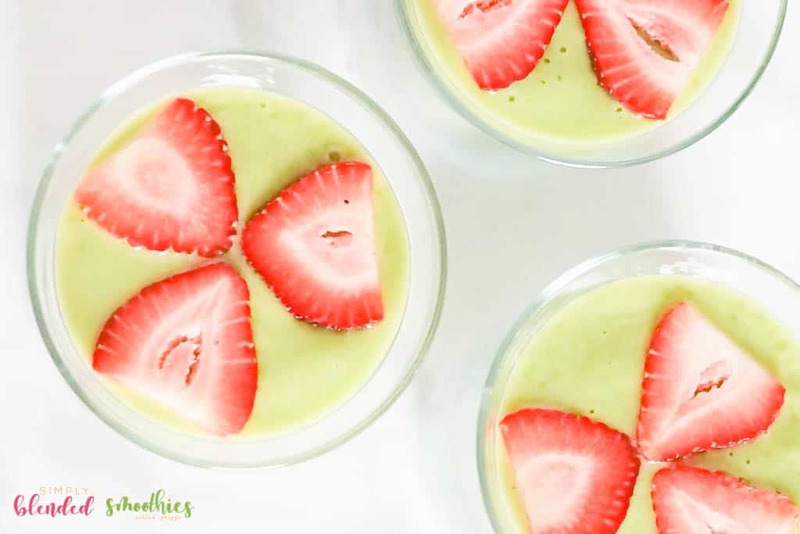 This tastes like a tropical treat, so it is a great way to get your kids or beginning smoothie lovers craving a delicious green smoothie. I love that you add a little bit of juice. That’s a great way to infuse some additional fruity flavor to your spinach smoothie. Thanks for sharing your delicious recipe with us at Merry Monday this week!